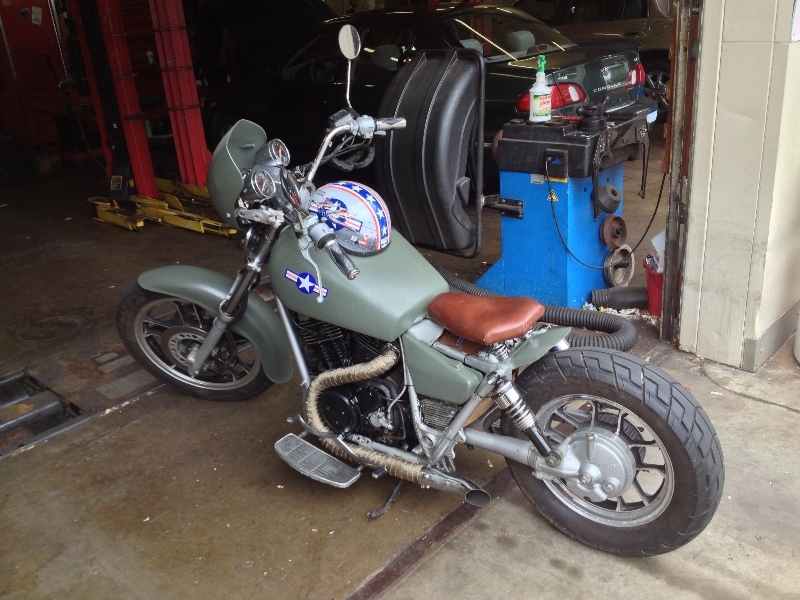 I am looking to do the same thing as you did for the Honda Bobber – Retro Army Air Core. I have a neighbor that has a 1984 Honda Shadow VT 700C about 30,000 miles on it needs a little work, but he said he would give it to me for $500 is this a good price to get the bike and start this project. If you have any helpful info/tips or resources for this project that would be great. 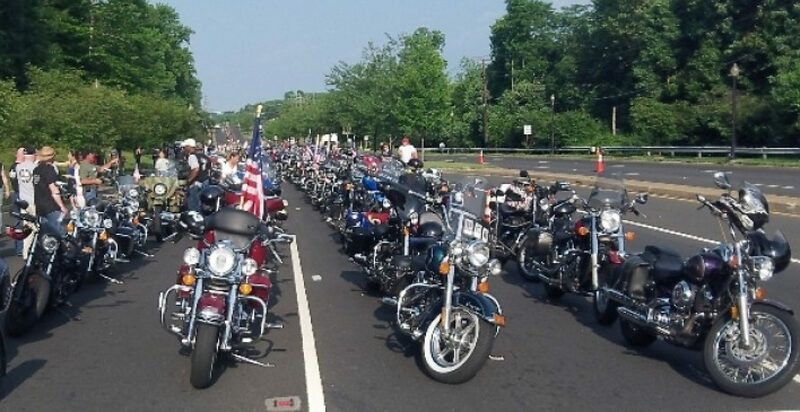 If the bike is still running and road-worthy, $500 is a very fair price. If you want to bob it, get comfortable with an angle grinder with a cut-off wheel. 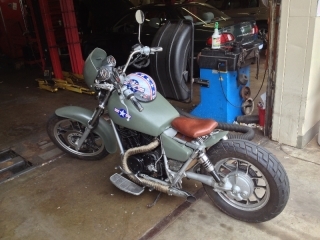 Also, a lot of Sportster parts will fit this bike (since it sora is a Sportster rip-off – and an awesome one at that!). I used Burly Slammer shocks to lower it. I “fabricated” a stubby fender from a trailer fender, and there are a couple of bolt holes on the frame conveniently situated for mounting springs for a solo seat. There are also a ton of side-mount license plate / tail lights that will fit this – basically anything that mounts to an axel or a shock mount will work. I used green Plasti Dip on the VT700C, but I just used a Rustoleum Camo Green on the ‘83 Ironhead, and I’m pretty happy.